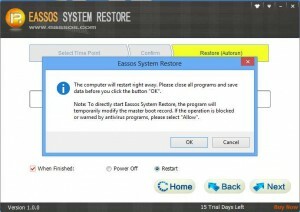 How do I perform a system restore with Eassos System Restore? Almost all computer users have such an experience that the operating system is speedy and performs well when the OS is just installed. But the system slows down gradually as time passes. What’s more, sometimes Windows even can’t run normally or can’t be booted due to various reasons. Many of us think the best solution should be system reinstallation; however, I have different view. First the reinstallation of operating system is too complicated to me and it takes too much time. Second, not all users know how to reinstall system. Thus, the system restore must be the most widely received solution, for it is easy to perform and saves time and efforts. 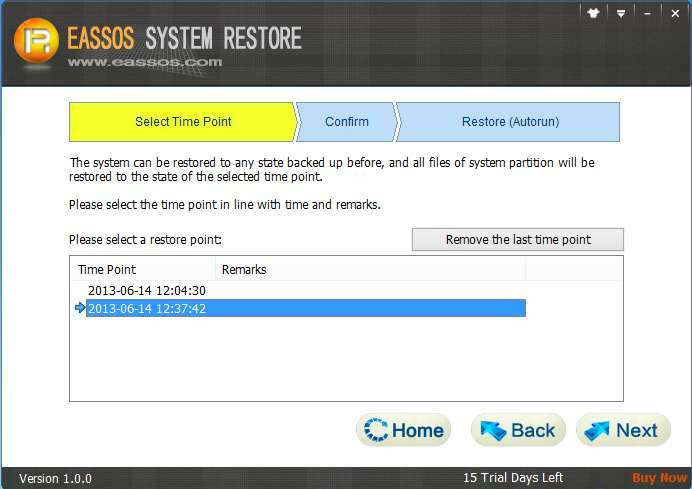 If you use Eassos System Restore to restore system and the work will be pretty simple and easy, for it takes less time and needs fewer efforts. You don’t have to own a deep understanding of system restore. 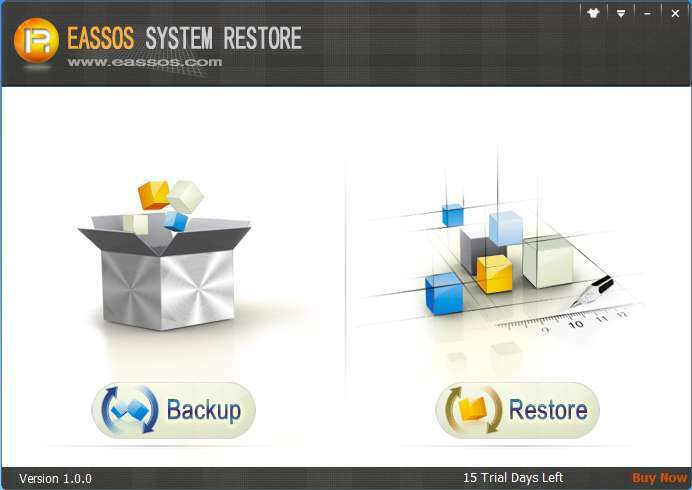 The only requirement is that you have backed up your system before with Eassos System Restore. 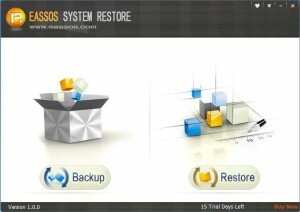 Please click here to see How to backup computer system with Eassos System Restore? 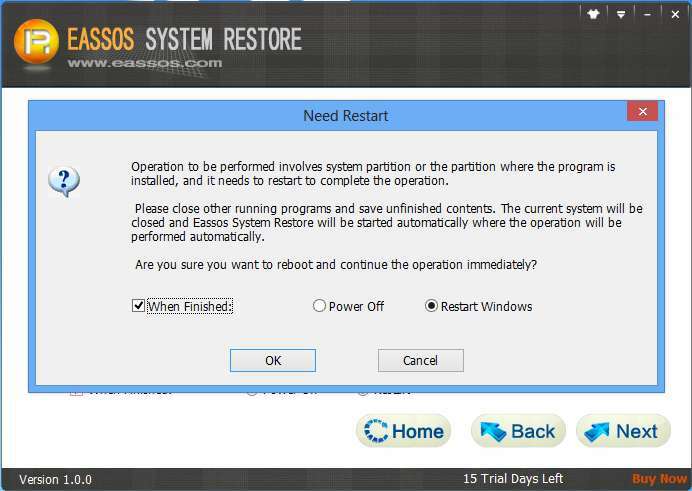 The following part explains how to restore system using Eassos System Restore with the Windows runs well. 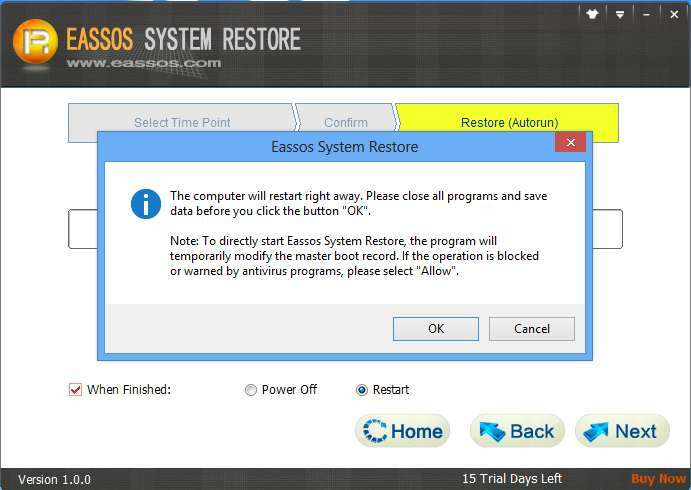 As a matter of fact, Eassos System Restore supports several boot options, which guarantee the system restore can be performed even when Windows can’t boot normally. For more information please click Boot Options. Start the program and click the button “Restore”. Next, select a time point you want to restore. At the same time remarks written in previous backup are displayed. Click “Next” button and the program will show information for confirmation. Then Eassos System Restore prompts to restart computer. Besides, the following operation might be blocked or warned by anti-virus software as it involves disk’s underlying part. And there’s no need to be unrested, Eassos System Restore won’t do any harm to computer! 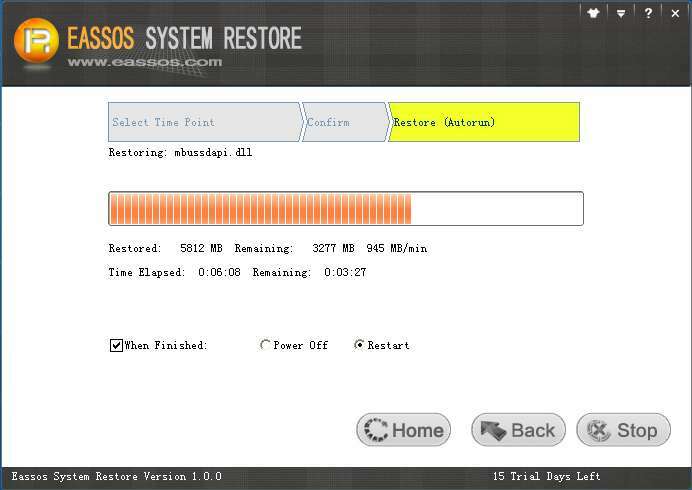 Next, Eassos System Restore will restart system and enter DOS to restore system automatically. The restore speed is as fast as system backup. If you didn’t modify default settings in previous operations, Eassos System Restore will restart to Windows when the system restore is completed. 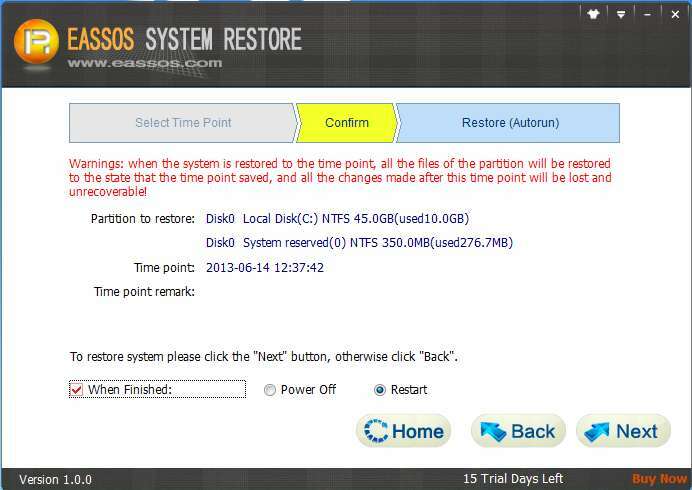 This entry was posted in Backup & Restore and tagged Eassos System Restore, how to restore system, system backup, system restore by EASSOS. Bookmark the permalink.